Semiconductor Engineering - Should EDA Remain Coin-Operated? Semiconductor Engineering - Should EDA Remain Coin-Operated? Home > Low Power-High Performance > Should EDA Remain Coin-Operated? Using a success-based model makes a lot of sense, but there are still some kinks to work out of the process. The EDA business model has seen a lot of discussion. Perpetual, time-based, pay as you go, EDA cards, etc., etc. The implications of the chosen business model can have dramatic effects on the overall health of the company involved. Changing the business model can cause mighty companies to topple and weak companies to seem strong (at least for a while). Current trends, such as cloud computing, promise to add even more degrees of freedom. At the end of the day, there is still one fundamental question: Should you pay for software, or pay for success? With few exceptions, EDA has been sold as a cost of doing business, with no real connection to success. In fact, there is an inverse influence. The worse-off the design is, the more EDA tools you’ll need to fix it. So, bad design practices and tight schedules really help the model along. 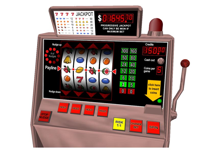 If you look through the history of EDA you will find times when the pay-per-use model was tried. Still coin-operated, but at least payment was tied to usage. On the surface, this seems to somehow tie what is paid to the benefit received. The problem with this model is that automation works best when it is aggressively used, and pay-per-use schemes incent the customer to use the software less, and not more. Back to the drawing board. A rather famous counter-example of EDA’s somewhat dysfunctional business model was developed by a semiconductor IP provider—Artisan Components. 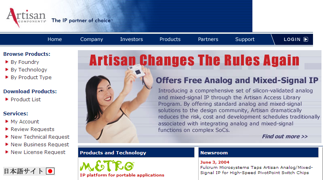 From the Artisan Components Web site, circa 2004. Artisan gave away their IP for free to end users and the foundry paid the bill in the form of wafer sales royalties to Artisan. Brilliant move. More foundry tapeouts are facilitated, and payment only occurs when there is actual silicon revenue, which is the end goal for everyone. Some other IP vendors put a twist on this idea by charging wafer sales royalties to the end customer (and not the foundry) if their IP was used. In both of these models, everyone makes money *only* when wafer volume is achieved. This is not a coin-operated model, but a success-based model. Seems to make more sense. Well, it does, right up to the point where the vendor asks for a cut of the end customer’s profit. That’s driven by margin on the chip sale, which is driven by the wafer price. If you ask for a royalty based on wafer volume you are definitely affecting the profit for the end customer, and not in a good way. These discussions are usually short, and don’t usually end in “yes.” I think this needs to change. If we are going to see EDA continue to grow in the years ahead, we’ll need to work this out. A success-based model makes a lot more sense. There are isolated cases of this model, but not in mainstream EDA. Who will make the first move to change this? It will be interesting to watch and see.